(6/11) — 14:02 PDT — LOS ANGELES — A young friend of Oscar Grant broke down in tears on the witness stand today as video he filmed of Grant’s shooting by former BART Police officer Johannes Mehserle was played for a Los Angeles jury. Jamil Dewar was in the group of Grant’s friends riding the BART train in the early morning hours of New Year’s Day 2009, but became separated from Grant at the Fruitvale BART station platform. “I saw security, angry faces running toward us, so I got back on the train,” Dewar, who was 15 years old at the time of the incident, said. As prosecutor David Stein played Dewar’s footage, the young man broke down in tears. His mother went up to the stand to comfort her son as several people in the courtroom audience also began to cry. Judge Robert Perry then ended the morning’s session. The testimony came on the second day of Mehserle’s murder trial. He is charged with second-degree murder for shooting Grant. The prosecution argues Mehserle intentionally used his gun to shoot the 22-year-old Hayward man. Earlier in the morning, several other witnesses to the incident also testified, including Karina Vargas, Tommy Cross and Daniel Liu, who also recorded videos of the incident. Vargas said she did not see Grant or any of his friends resist police. “To me it looked like they were cooperating,” she testified. “It looked like he had his arms behind his back voluntarily,” she said. She testified she was filming about 10 to 15 feet away and she heard Grant say “don’t Tase me, man” several times. Defense attorney Michael Rains argues Grant was indeed resisting arrest before Mehserle shot him. Rains says Mehserle used his gun by accident and meant instead to fire his Taser. Cross testified after Vargas, and described a similar reaction from Mehserle. “He looked up and I looked at him and he said either ‘oh sh–’ or ‘oh, my god,’” Cross said. Cross also he too saw no resistance from Grant. Both Vargas and Cross testified that the aggressive actions of former BART Police Officer Anthony Pirone, who was the first responder to reports of a fight on a BART train in which Grant was involved, caused them to begin recording. Additional witnesses are expected to testify this afternoon. The trial is being held in Los Angeles over concerns Mehserle could not get a fair and impartial jury in the Bay Area given the intense publicity the case has received. 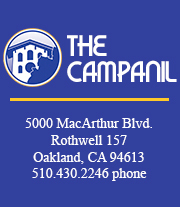 The California Beat and The Campanil’s joint continuing coverage of the Johannes Mehserle BART Shooting trial is funded in part through Spot.Us. Visit our special trial news page and help fund this project. Beat reporters Tashina Manyak and Jennifer Courtney reported from Los Angeles. Contact Tashina Manyak at tmanyak@californiabeat.org.